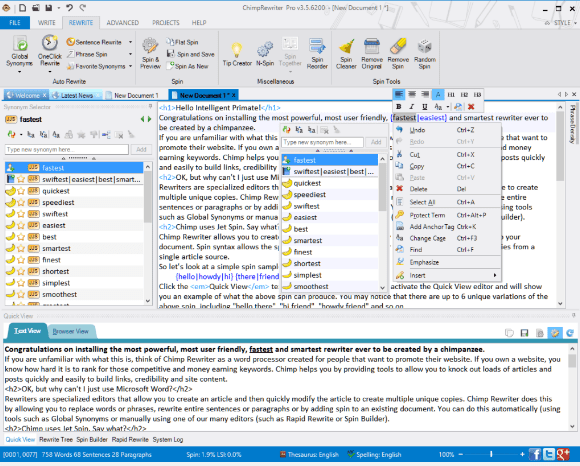 Chimp Rewriter was our first product released way back in 2009. 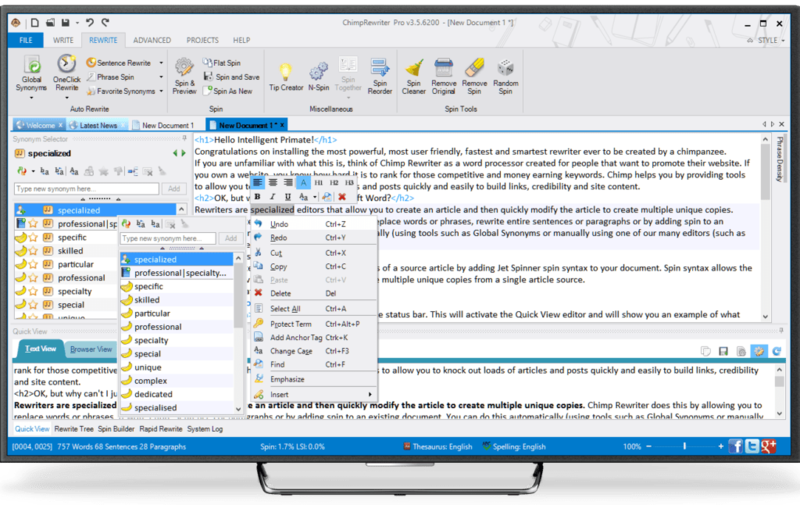 It’s an article rewriter and paraphrasing tool. It introduced advanced Natural Language Processing technology into a stagnant market and revolutionised automatic content rewriting. Chimp (as it is affectionately called) is considered a leader in the field and is regularly updated to ensure modern techniques, tools and automation are available to its large user base. We consider it our baptism by fire, and we must have passed as it continues to make sales to this day. Chimp Rewriter is a bit different to the rest of the projects listed here. 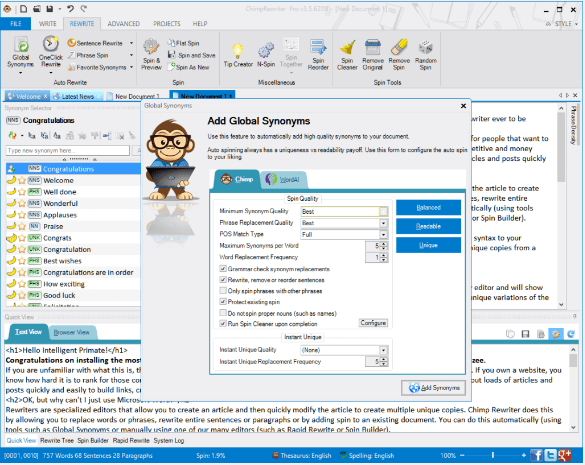 It is a downloadable Windows application which needs to be installed, rather than a cloud-based web application. It requires a significant amount of processing power. At the time Chimp was built, this kind of power was quite expensive, so it made sense to build as an installable program. At the time, the internet marketing software industry was plagued with software that was full of problems or very difficult to use. Chimp Rewriter was one of the first to change this and was met with praise from many in the industry. As competitors brought in similar features and improved their interfaces, we added more and more features to make Chimp Rewriter the obvious choice. We inadvertently started a feature “arms race” which required constant development and improvement. 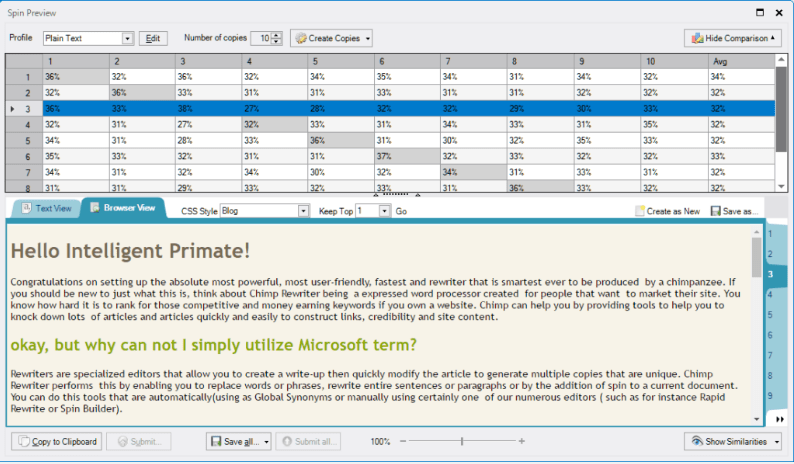 Chimp Rewriter version 2 was a major step forward for the entire industry. 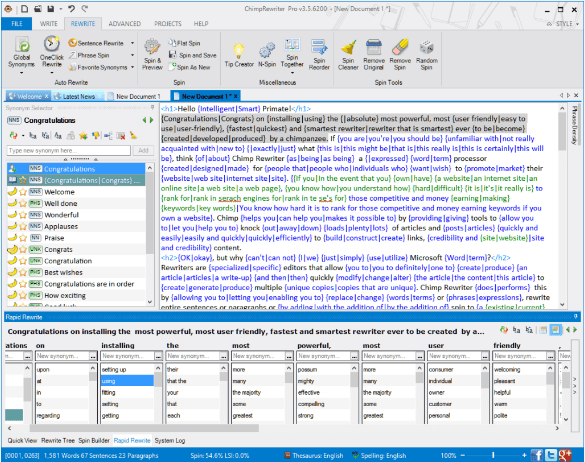 It was the first rewriter to implement Part of Speech processing, a technology that enables computers to determine nouns, verbs, adjectives and so on from plain text using complex artificial learning algorithms. Combined with neuro-linguistic programming, the quality of rewriting was improved drastically. Chimp Rewriter knocks the SOCKS off them all! It has been developed as a professional piece of software, and for that I applaud you. Chimp Rewriter is, without doubt, the best thing out there. It’s such a refreshing change to use a product that is properly designed and developed.